Diagnostic ultrasonography: Various courses from professors from the USA and Germany. Experience since 2009. Endoscopy and minimally invasive surgery/laparoscopy: Multiple courses conducted by Colorado State University professors. Experience since 2014. Acupuncture: Certificate in Veterinary Acupuncture with the International Veterinary Acupuncture Society (IVAS) after undergoing a year long intensive training in Traditional Chinese Veterinary Medicine (TCVM) and Acupuncture. Experience since 2014. Dentistry: Courses in periodontology, pocket pet dentistry and dental radiology from Australian and American specialist dentists, and course in endodontics (root canal therapy) by Accesia Acedemy in Sweden. Experience since 2008. PennHIP: Certified and registered member of PennHIP, which is an internationally known modality for diagnosing hip dysplasia in cats and dogs. Experience since 2013. In addition to receiving training, Dr Loon also regularly assists in providing training to veterinarians regionally, including being a practical instructor for endoscopy and minimally invasive surgery courses conducted by Colorado State University professors. 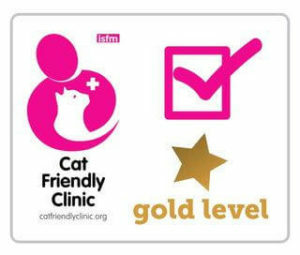 Dr Loon strongly believes in providing animals and pet parents with access to the best possible and up-to-date veterinary care. He also places great emphasis on client education as he believes that by understanding their pets better, pet owners can enhance the bond with their furry companions, regularly giving talks to pet parents about healthcare for their furkids. His love for animals started with his local mixed breed dog when he was young. He is now accompanied by Hayden, a loveable and energetic Miniature Schnauzer. Gabriel was previously working in the financial sector, with experience in people and business management. He has always had an instinctive love for animals and people alike, and is privileged to be able to contribute his experience to improve the health and well-being of companion animals. Gabriel's family currently includes "Ally Jane", a Border Collie. Dr Philippa Spellman graduated from Massey University in New Zealand in 1995. A lot of her career has focused on working with small animals in Emergency and Critical Care clinics in the U.K. and New Zealand. However her last stint before arriving in Singapore was to work for 5 years in Abu Dhabi and Dubai in general practice. Dr Spellman has developed a strong interest in all kinds of soft tissue and orthopaedic surgical cases and enjoys following them through. 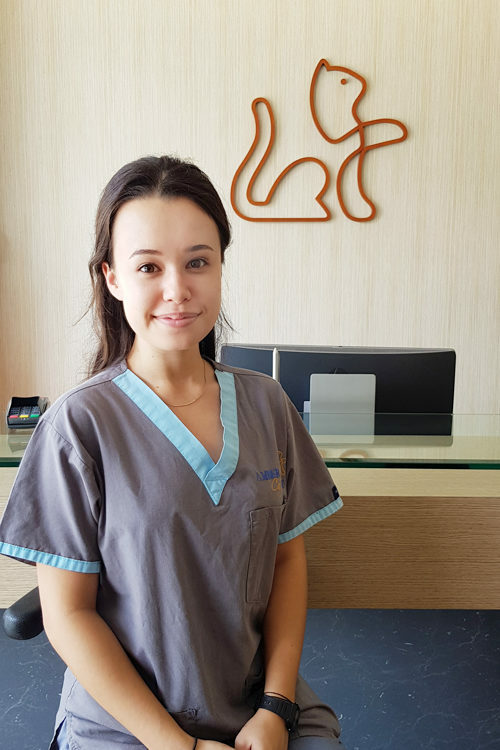 Her other passion is to work up any medical problems with pets and taking time with clients so that they may understand their pets condition and provide the best solution for their care. In her spare time, Dr Spellman loves to travel to any new country and enjoys sampling the variety of cuisines they have on offer. She also loves cooking new dishes and spending time with family and friends. Originally from France, Dr Emma Redonnet grew up in the sunny Reunion Island and Tahiti. After her first Bachelor’s degree in Biology in Canada, she moved to the UK and completed her Veterinary Medicine degree at the University of Edinburgh. She speaks fluent French and English. 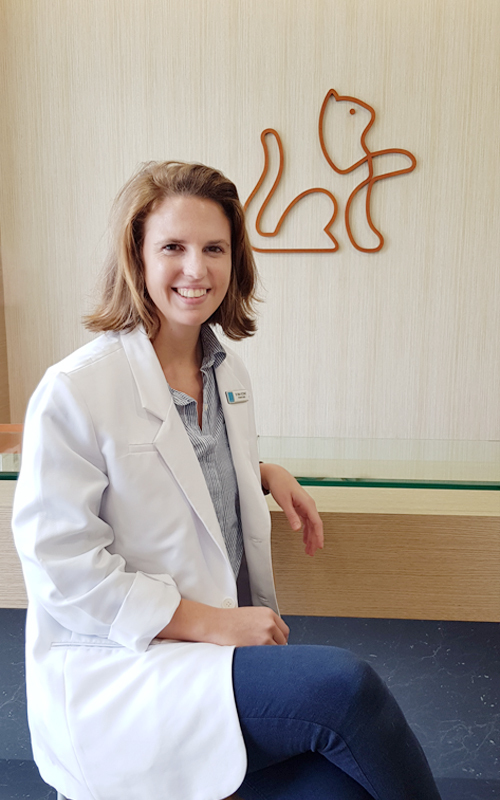 Dr Redonnet enjoys all aspects of companion animal veterinary medicine and has a keen interest in dermatology. She believes that communication is key to build trust and to maintain a good relationship between veterinarians and pet parents. She enjoys educating pet owners to allow them to understand what is affecting their pets, and work together to make the best decision possible for their furkid. In her free time, Dr Redonnet enjoys travelling and drawing but most of all she loves swimming! She looks forward to meeting you and your furry friends. 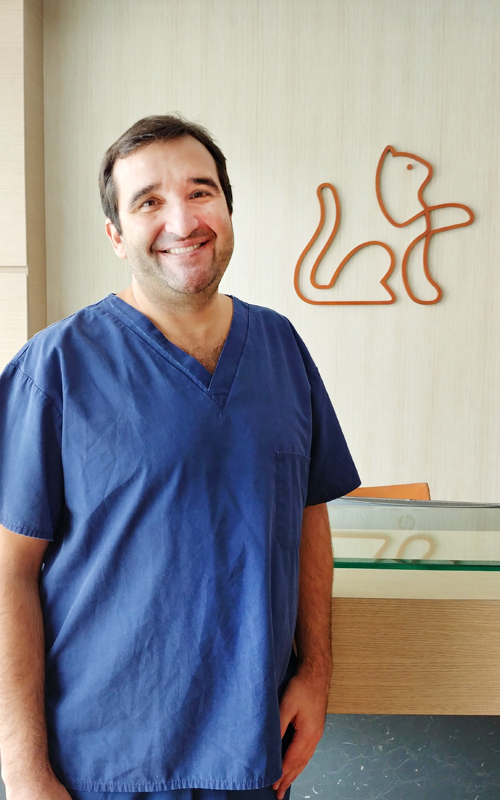 Dr Rui Oliveira graduated from the Technical University of Lisbon in 1999, followed by an intensive Postgraduate Diploma in Veterinary Ophthalmology in Barcelona in 2002. He attained the Certificate in Veterinary Ophthalmology awarded by the Royal College of Veterinary Surgeons London (RCVS) in 2012. Dr Oliveira completed an internship in 2000 at the Small Animal University Hospital in Milan, working in many disciplines. He has since worked in both private practice and in veterinary teaching, as well as being an advisor in Veterinary Ophthalmology for several zoos, aquariums and wild animal centres in Portugal. 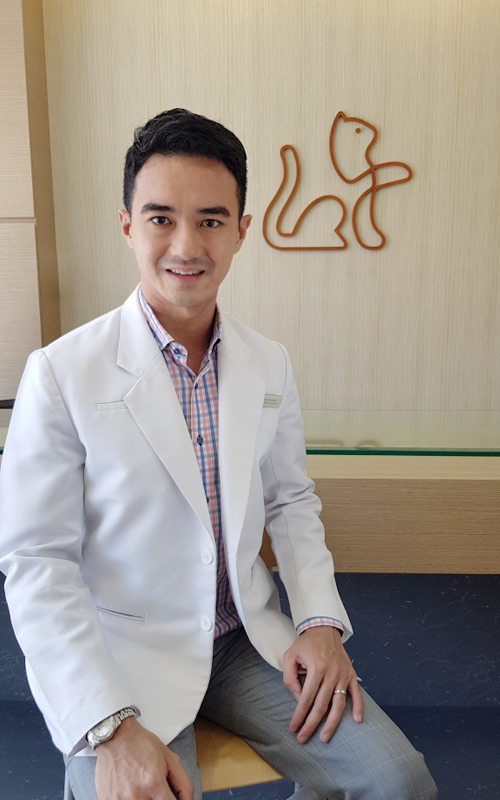 He is now based in a busy referral veterinary centre in the UK, and also spends time working extensively in ophthalmology in Spain, Portugal, China, Hong Kong, Dubai and Singapore. Dr Oliveira enjoys treating eye cases in a wide variety of animals, and regularly performs surgery for cataract, glaucoma and conditions of the eyelids,cornea and retina. Dr Oliviera has presented papers at a number of international meetings and conferences including ECVO ESVO Congress in Dublin, and AMVAC Congress in Madrid. Although Portuguese is Dr Oliveira's mother language, he also has a good knowledge of Spanish, Italian and French as well as being fluent in English. 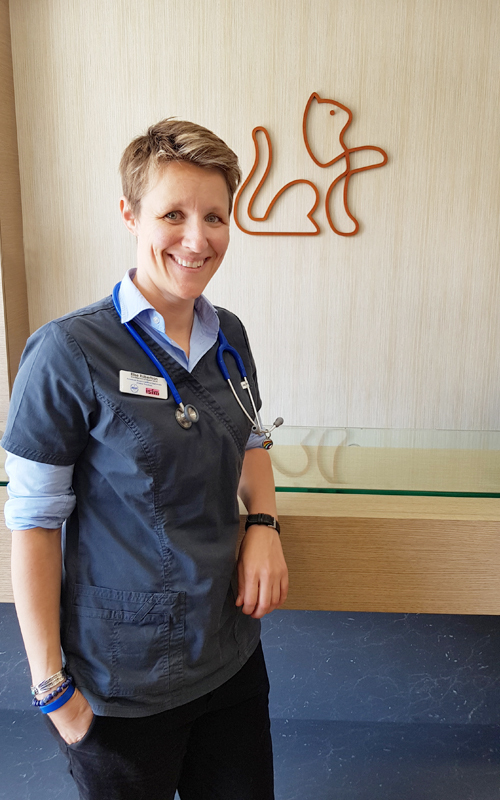 Ever since five years old, Dr Elise, Robertson, a.k.a The Cat Doctor, knew that her calling was to be a Feline Specialist. 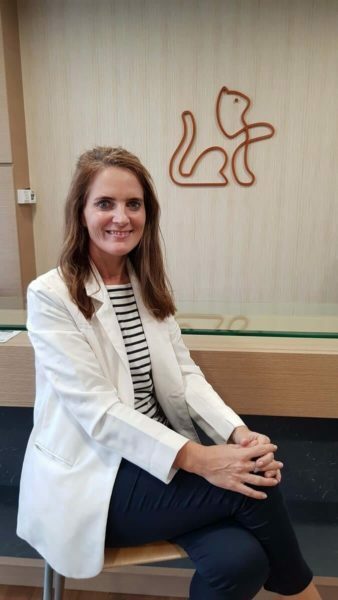 With that dream in mind, she soared across the world to learn from some of the most distinguished feline specialists, leading to her Feline Specialist qualification as a Feline Practice Diplomate with the American Board of Veterinary Practitioners. Dr Robertson is passionate about providing a friendly, empathetic and approachable service for veterinary colleagues and their clients. 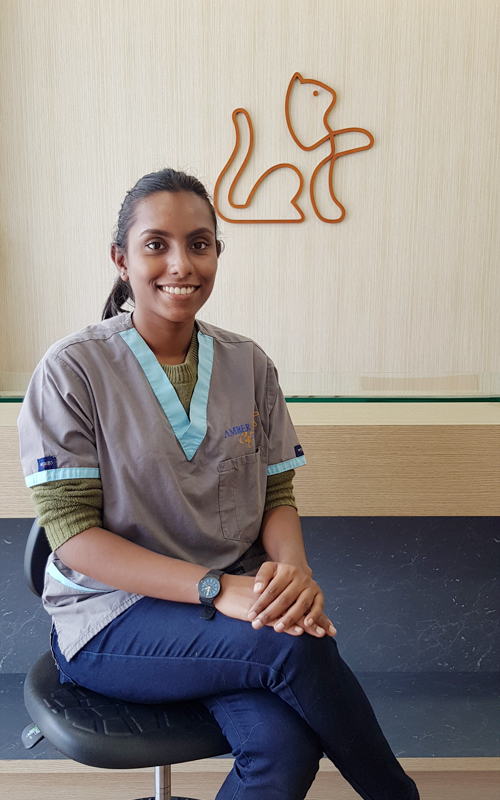 Today, Dr Robertson operates her own feline and endoscopy referral service around many veterinary clinics in England, and now with Amber Vet in Singapore. During her free time, Dr Robertson practices on her cello, travels the world, conducts educational talks and spends time with her lovely cats, Elliot and Doctor Eric. Chrislyn earned her degree of Doctor of Veterinary of Medicine from Benguet State University. 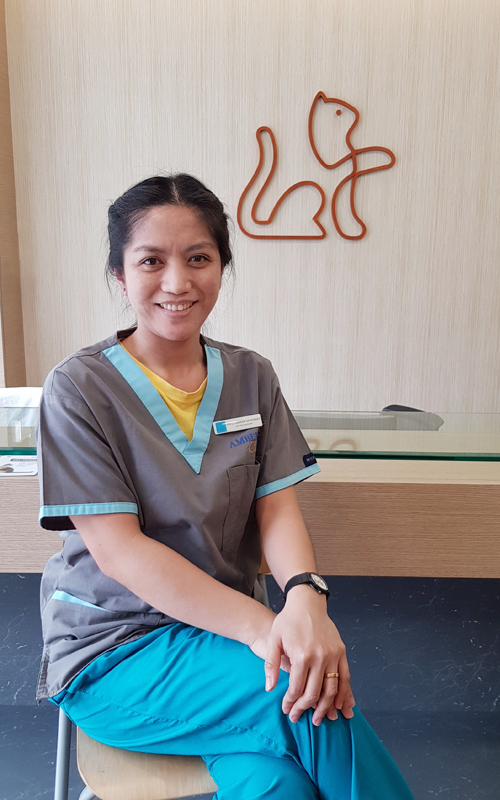 Driven by her love and passion for animals since a young age, she practised in a small animal clinic facility and a government veterinary field unit in the Philippines for nearly five years. In that time, she was enthralled by the captivating world of the profession. 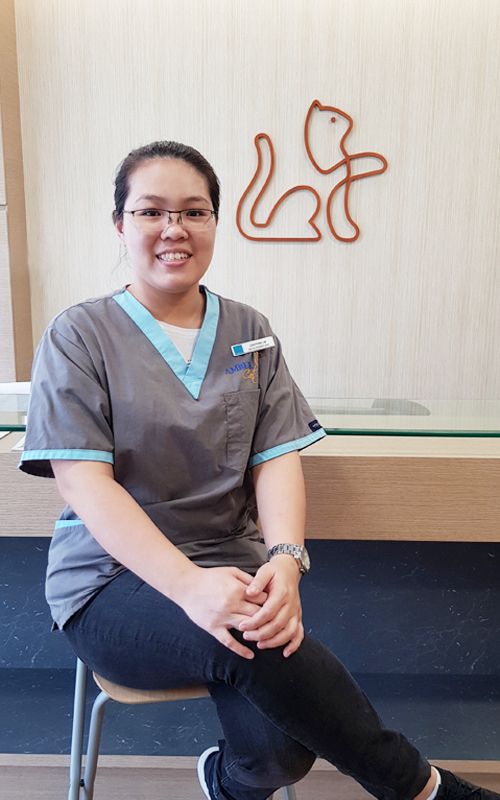 Chrislyn then took on the role of Pet Care Consultant at one of Singapore's leading pet shops for almost four years, till her desire and enthusiasm to be part of the rewarding circle of small animal practice redirected her to Amber Vet. Back home, Chrislyn is accompanied by her adorable white furball mixed breed (Shih Tzu crossed Maltese) named Lucky. 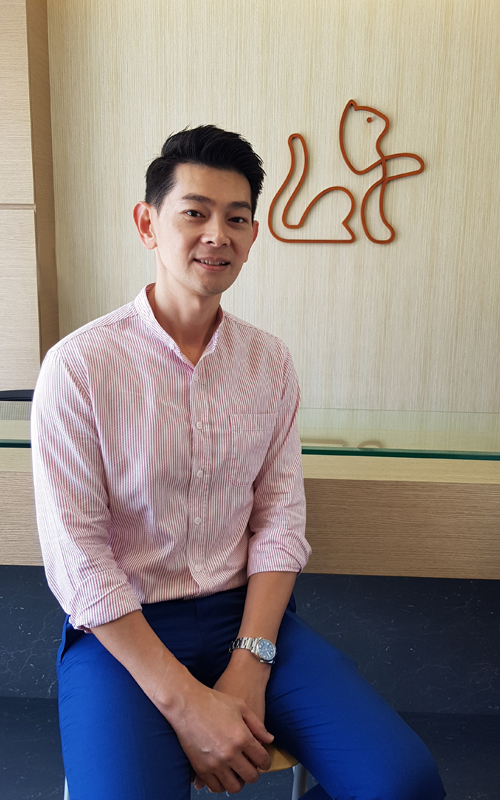 Chin was awarded the diploma in Veterinary Technology by Temasek Polytechnic, Singapore. Thereafter, she further pursued and acquired the degree of Doctor of Veterinary Medicine in National Pingtung University of Science and Technology, Taiwan. She was given the opportunity to expose herself in real-life veterinary practices in Taiwan and United States during her study. From a young age, Chin regularly fed and played with stray cats around her home, which sparked her love for animals. She even keeps one of the stray cats as her pet now named “Ling Ling”. She loves readings and is eager to learn new things, and also strives to sharpen her skills in the veterinary field in order to provide the best care for all animals under her care. 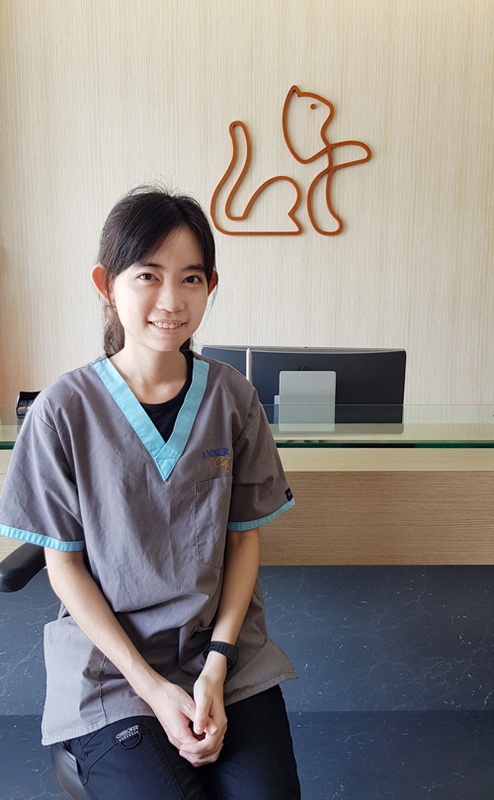 Tracy graduated from Ngee Ann Polytechnic with a Diploma in Veterinary Bioscience. Her love for animals prompted her to take up this course of study, and subsequently working in veterinary care. She is always keen to learn new veterinary techniques and constantly improves herself in order to provide the best to the animals under her care. She enjoys her free time with her two dogs - a Golden Retriever, "Whisky", and a Jack Russell Cross "Pepper". Anita graduated from Griffith University, Australia, with a Bachelor's degree in Ecology and Conservation Biology. Prior to this, she pursued a Diploma in Veterinary Bioscience at Ngee Ann Polytechnic. Her love for animals began growing up in England, surrounded by wildlife and the countryside. She actively participates in conservation diving efforts as a PADI certified Rescue Diver. She is the loving owner of a Bombay cat, also coincidentally named Amber. Josephine has had a variety of pets growing up, and is passionate about all animals big and small. She started out at Amber Vet as a veterinary assistant before pursuing and completing her Associate Degree in Veterinary Nursing, and now, she’s back at Amber Vet as a certified veterinary nurse. She thoroughly enjoys her job as a veterinary nurse, especially caring for senior dogs and cats, and hospitalised patients. She also strongly believes in low stress handling of all animals that visit the clinic. Josephine is currently unowned by any animal, but hopes that will change in the near future, preferably by a senior cat. Growing up with animals all her life, her childhood dream was to work in an animal related industry. Even though she was doing great in her shipping career, she never felt fulfilled. Hence, she quit her job and started pet sitting, long term boarding, caring for special needs dogs, and also volunteering at animal shelters. Her dog massage certification has come in handy for the elderly dogs she cared for. She decided that it was never too late to chase after her dream as she joined our team. During her free time, she spends her day with Maya, her Golden Retriever whom she is devoted to. They hang out at dog cafes, the beach and also trying out new doggie recipes. She loves exploring new places and trying out new foods. She also enjoys quiet time meditating. Joanna majored in graphic design and received her degree (Bachelors of Arts) in the United States of America. After years as graphic designer, she decided it was time for a change of scenery and moved to Sunny Singapore. Being a animal enthusiast, she decided to pursue her passion and worked as a veterinary nurse for 2 years. Along the way, she discovered her interest in practice and inventory management, and thus became the purchasing officer for the veterinary practice she was at. Joanna now manages the practice's inventory, along with IT and other administrative duties, ensuring that the practice is running like clockwork, allowing the team to treat all animals efficiently and to the best standards possible. Joanna receives unconditional love from ZaiZai, a Shetland Sheepdog, NuNu, a Miniature Pinscher, and LeLe, a ginger cat. Melissa was previously in the media and production industry with experience in casting talents for films and advertisements. 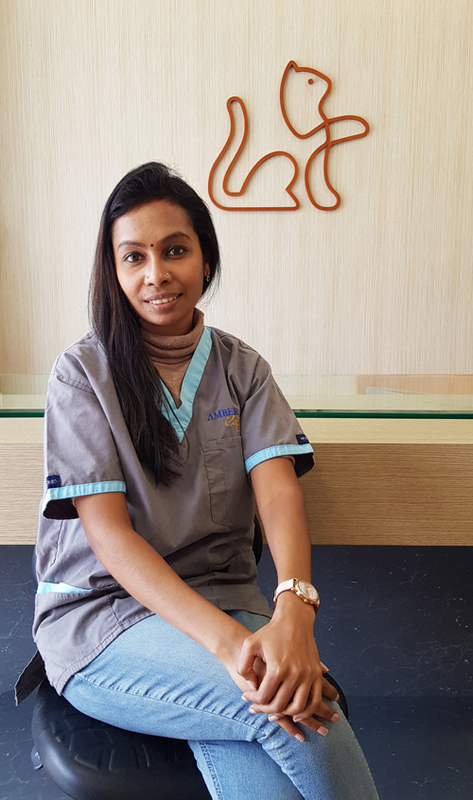 Her love and respect for all animals led her to join Amber Cat Vet where she hopes to learn more about how to care for them and contribute to the animal care industry. She grew up with a tankful of fishes, over a dozen hamsters and her family at present loves and cares for “Fatty Bonds”, a spoilt but loving rabbit who enjoys endless petting and belly rubs.